Hard to believe, but of this whole costume, the chaps are so far the MOST expensive and the MOST time consuming and the MOST work. The leather I got at Tandy Leatherworks... it's a huge 62 square foot upholstery hide.... over $500. I've used about 2/3 of it sofar. 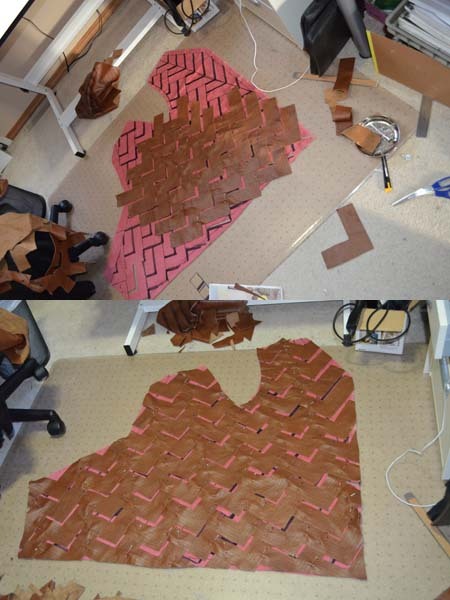 Then pin all the pieces together and cut the edges to the pattern. Then sew all the pieces you pinned. That's ONE leg.... it took me all day. I still have another one to do. You made a beautiful costume. At my daughters highschool the lion king will be performed. 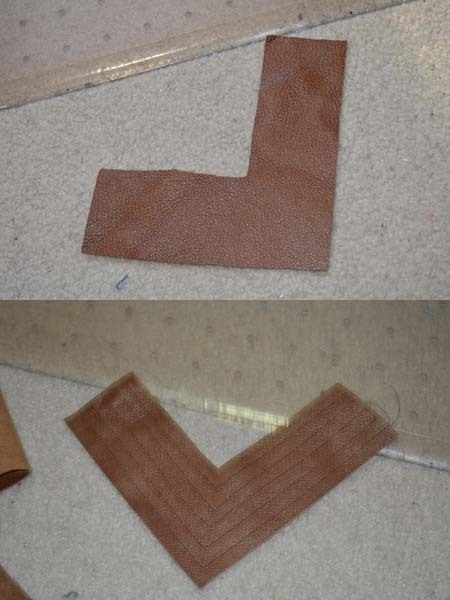 I am a costume mother and want to make the Scar leather pants. Trying to figure out your pictures. Do you have a pattern of the pants or measurements that you are willing to share?